Bob Marley is a household name that everyone is familiar with as a legendary reggae artist. But besides his music status, the reggae icon was also known for his numerous encounter with women and his large family. 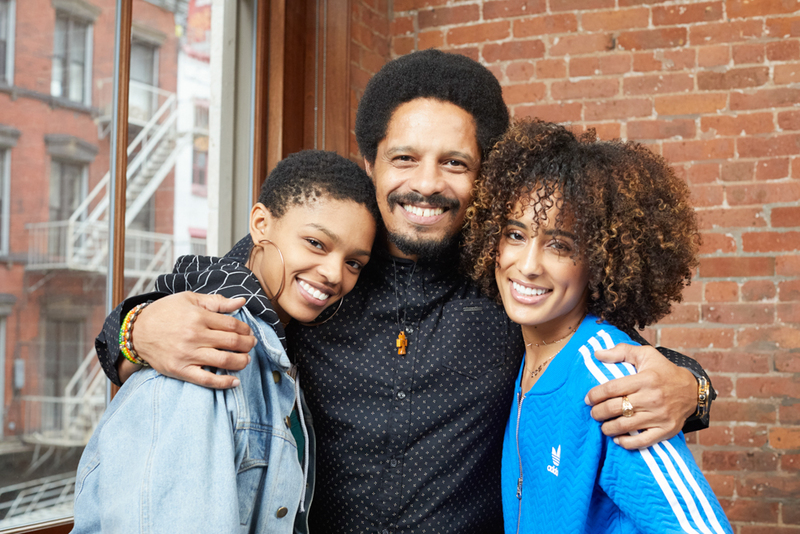 He is a father of fourteen children, although it is said that there might be others which are not known, however, for those of them that are known, Rohan Marley makes up the number. Unlike most of his siblings who took after their father’s footstep and went into the music industry especially reggae, Rohan chose a different part. He decided to do something different from what the Marley family is known for. He is an entrepreneur who has his own business and still takes part in the family’s businesses also. But to show that he is the son of his father, he also had his own share of women and a large family, even though not as large as his father’s. Rohan Anthony Marley, the son of famous reggae artist Bob Marley and Janet Hunt was born on May 19, 1972, in Kingston, Jamaica. At the time of his birth, his father was still married to his wife, Rita; he lived with Rita and later on with his grandmother while growing up. He attended the Miami Palmetto Senior High School and graduated in 1991. He schooled at the University of Miami and was in the football team, where he played as a linebacker. He also played for Ottawa Rough Riders, a football team in the Canadian Football League as a professional footballer. Marley Coffee is an organic coffee plantation founded in 2009 and Rohan was a co-founder. It later changed its name to Jammin Java Corp when it went public in 2011. Although the location of the business is in Jamaica, their major production center is in Ethiopia. In addition to his coffee business, Marley also runs a clothing line known as Tuff Gong Clothing Company. He also helps run the family charitable organization known as 1Love. In addition to being a footballer and an entrepreneur, he is also an actor, who has made appearances in movies such as; La Viola (1997), Three Thug Mice (2000), Motherland in 2010, and others. Rohan got married to his girlfriend, Geraldine Khawly on March 18, 1993, while he was still in college. They have two children together; a daughter, Eden born on January 9, 1994, and a son, Nico who was born on January 5, 1995. Nico is an American football linebacker, who signed as an undrafted free agent with the Washington Redskins in 2017. The couple got divorced in 1996. In 1996, he met Lauryn Hill and they were in a relationship for a long time which produced five children; Zion David who was born on August 1997, Selah Louise, born on September 1998, Joshua Omaru, born in 2002, John Nesta, born in 2003, and Sarah, born in 2008. They never got married until they separated in 2009. Rohan Marley went into a relationship that led to an engagement with Isabeli Fontana, a Brazilian model, but they didn’t head to the altar as they parted ways in 2013. When you have a father as famous as the legendary Bob Marley, it won’t come as a surprise to know that your family is such a large one, especially when he was involved with a lot of women. Rohan’s mother, Janet Hunt is one out of the numerous women Bob Marley had an affair with in his lifetime. Much is not known about her, except that she is one of his numerous concubines and the mother of his child. Due to her inability to properly cater for the child, Rohan was taken from her to live with Bob Marley’s’ official family at the age of four and had to stay with his grandmother after the death of his father in 1981. Imani Carole Marley, the daughter of Bob Marley and Cheryl Murray who was born on May 1963. According to the birth date, she supposed to be the first child of the Marley’s, but she isn’t acknowledged as that on official websites for reasons unknown. Sharon Marley was on November 23, 1964, two years before Rita and Bob got married. Although Bob is not her biological father, he adopted her after the marriage and she has since been referred to as one of his children. Cedella Marley is the first child of Rita and Bob and was born on August 23, 1967. She is an entrepreneur, actress, fashion designer, singer, and dancer. Cedella was named after her grandmother and she is married with a son. David Nesta ‘Ziggy’ Marley, the first son of Rita and Bob was born on October 17, 1968. He took after his father as a musician and is presently married with kids. Stephen Marley was born on April 20, 1972; he is the last child of Bob and Rita together. He is one the children that took after his father’s career. He is a musician and an eight-time Grammy Award winner, with lots of albums to his credit. He is married with kids. Robert ‘Robbie’ Marley was born on May 16, 1972, to Bob Marley and Pat Lucille Williams. He is a motorcycle stunt rider and didn’t go into music like his father and most of his siblings, and he tries to live a quiet life. Karen Marley was born to Bob and Janet Bowen in 1973 and although she was born in England, she grew up with the rest of the Marley’s in Jamaica. Stephanie Marley was born in August 17, 1974, after her mother Rita had her out of wedlock when she had an affair with a man named Ital, but she was adopted by Bob and is recognized as one of his children. Julian Marley was born on June 4, 1975, to Bob and Lucy Pounder. He was born and brought up in London by his mother Lucy, but that didn’t stop him from visiting the Marley’s in Jamaica. He is also a singer, producer, and songwriter. Ky-Mani Marley was born on February 26, 1976, in Jamaica to Bob and Anita Belnavis who was his girlfriend then. He is a Jamaican reggae and hip-hop artist. Damian Marley is a reggae artist who was born to Bob and Cindy Breakspeare on July 21, 1978. His mother was a beauty queen and won the Miss World beauty pageant in 1976. Makeda Jahnesta Marley was born on May 30, 1981. She is the daughter of Bob and Yvette Crichton, she was born few weeks after Bob Marley’s death and is his youngest child. She didn’t grow up with the rest of her siblings as she schooled in Pennsylvania, and lives in the Philadelphia area presently.